Pet birds have many characteristics that we all know... and are completely amazed by. They possess the magic of flight, they're incredibly intelligent, and they can be absolutely hilarious. There are certain things about birds, however, that only bird owners can truly understand. Some of those things are gush-worthy (like the first time your bird hops onto your shoulder) and others are downright disgusting (all the poop), but all of those things contribute to the joy that is bird ownership. 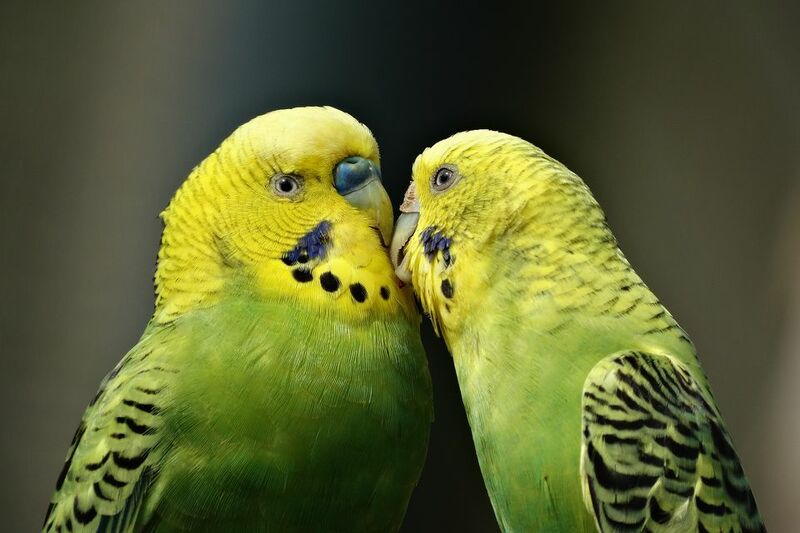 Read on to learn the things only bird owners really know, and why our feathered friends are truly part of the family. Show me someone who is unfazed by getting pooped on by a bird and I'll show you a veteran bird owner. Most people would freak out if a bird pooped on them, but for bird owners, misplaced poop is a regular occurrence. Poop on the shoulder? Let me just dab it with a napkin. Poop on the shoe? It'll wipe right off. Just imagine if being pooped on was a regular occurrence for dog or cat owners. For many people, a daily shower is a private time to prepare for the day ahead or reflect on the day's events. This certainly cannot be said for parrot owners. Parrots absolutely love to get soaked with water, so many owners bring 'em right into the bathroom when they shower. Why waste time and water with a separate birdie bath, right? Plus, if you love to belt it out in the shower, having your bird nearby offers the perfect opportunity for a bath time duet. You’ll eat whatever conventionally grown, mass-produced food is on sale at the grocery store. But when it comes to your bird’s fruits and veggies, it’s all homegrown, pesticide-free, organic produce. You might even have dedicated (read: off-limits) drawer in your fridge for your bird’s eats. Hey, no judgment here—it’s a known fact that many birds are better conversationalists than distant relatives. Even if your bird only knows a few simple words or phrases, talking to him is way better than talking politics with your great uncle or your love life with that weird second cousin. If you’ve ever taken a conference call from inside your kitchen pantry or bedroom closet, there’s a good chance you have a pet bird. Some birds are so apt to squawk, squeal, laugh, or mimic when their owners are on the phone, many people have a “quiet room” where they can take phone calls—in peace and quiet. It’s no secret: Bird toys are not cheap. But most bird owners don’t give dropping $15 on a toy their bird will (inevitably) destroy within a week a second thought. Who can resist buying a cool, colorful, new toy for their feathered friends, anyway?! Your house is pretty comfortable. There’s enough room for your family and friends, and you can host a few overnight guests at a time—but it’s nothing over the top. Your bird’s cage? It’s totally tricked out with the highest quality powder-coated steel wire, entire east and west wings (ha-get it), and maybe even a tiny, bird-sized entertainment room or gym. If you have a bird, you know how much she adores getting attention. Oh, you’re having some friends over for dinner? She’ll put on a song and dance. Chatting on the phone with an annoying customer service representative? Now seems like a great time for her to scream super loud. Trying to get out the door and get to work? You better not forget to shower her with attention for a few minutes first. Sure, doggies get all the blame for inappropriate chewing, but the trust is, your bird is just as bad (or worse!) than Fido. From furniture, to clothing, to shoes, to your kids' toys, she'll chew up—and maybe even destroy!—whatever she can get her tiny, little beak on. It doesn't take much to get a bird to boogey—music, the television, or even humans speaking can inspire a bird to show off his best moves. You, on the other hand? It takes several, strong drinks, hours of cajoling by your partner, and a whole lot of courage to bust out the Electric Slide at a distant relative's wedding. At the end of the day, there's nothing better than greeting your feathered friend and hanging out with her on your shoulder—even if that means getting pooped on.